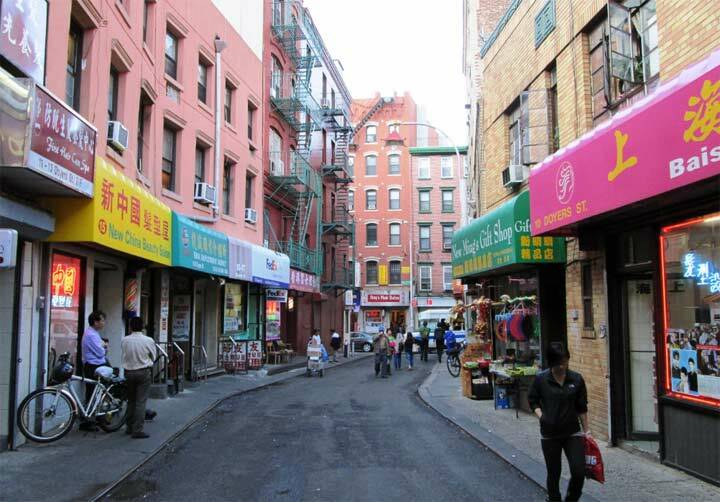 Light-emitting diode lamps (LEDs), which emit a bright white light, have already appeared on several NYC expressways and parkways, and it appears that Northern Boulevard in Long Island City and Astoria will be the vanguard of LEDs as the gradual takeover from high pressure sodium lamps, which shine a bright yellow. The city replaced all of its sodium lamps in 2009, a mere five years ago, and now an additional multimillion dollar expense is again to be undertaken. Most LED street lights have a lens on the LED panel, which is designed to cast its light in a rectangular pattern, an advantage compared to traditional street lights, which typically have a reflector on the back side of a high-pressure sodium lamp. In this case, much of the luminance of the light is lost and produces light pollution in the air and surrounding environment. Such street lights can also cause glare for drivers and pedestrians. As far as I can tell thus far, LED lamps have no glass or plastic reflector bowls and thus concentrate their light directly beneath the fixture. While this will indeed cut so-called “light pollution,” the lack of diffuse light would seem to contribute toward an overall lack of light coverage, and hence, add to the possibility of crime on streets that are darker. For me the jury is still out on whether the Great LED Revolution is a wise move. 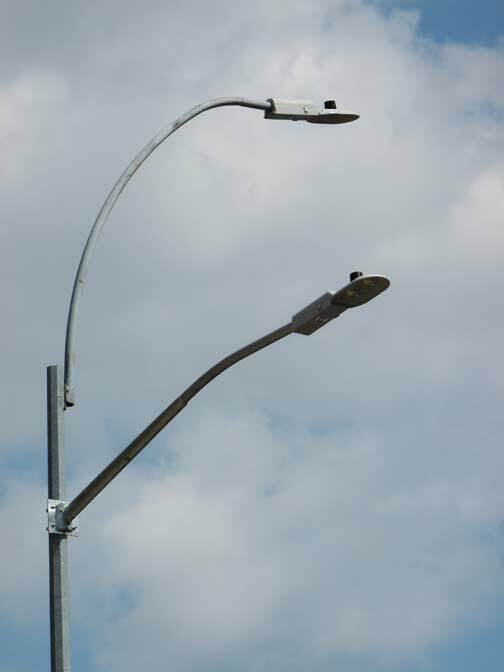 NYCDOT installed several of these model LED lamps along Beach 108th Street in Rockaway Beach over the summer as well. 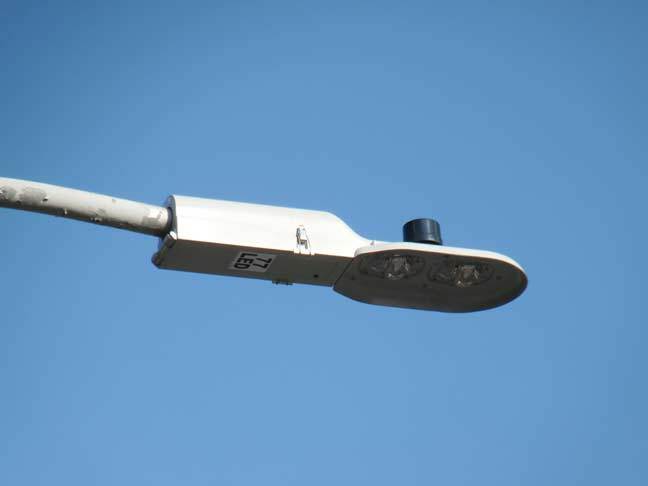 They have already been installed on the Cross Island Parkway from the Whitestone Bridge south. The city of Chicago did a study in 1998/1999 where they tested two areas with similar crime rates. In one, they changed the 90W bulbs to 250W bulbs, increasing the light. After testing, reported crime was actually greater in the 250W bulb area. Several cities after the financial crash of 2008 turned off streetlights or removed a lot of them, such as Bristol U.K., Rockford IL and Detroit MI. All of them saw either no change or a drop in crime. This is backed up by FBI crime data; 40% more burglaries, for example, occur during the day than at night – when it’s nice and bright out. So light doesn’t deter crime – in fact, it may actually help thieves. They can more accurately assess who to rob. I realize it is difficult to tell people “Don’t be afraid of the dark,” when that’s a primal fear, but the facts show that more light and glare don’t necessarily make you safer – in fact, the feeling of being safer may make you less safe, as you’re less aware of your surroundings. Top that all off with the fact that light pollution and light trespass mess with human production of the sleep-inducing hormone melatonin; that hurts with your sleep cycle, and is also increasingly linked to depression, anxiety, breast/prostate cancer, and obesity. And that’s actually the bigger problem with those LED lights – they emit light in the blue spectrum, which suppresses your melatonin more than the yellow/pink sodium lights did. But at least LED’s can be dimmed, and hopefully use colored glass to minimize the blue portion of the spectrum. Light pollution is a problem — not a so-called problem and the city may have finished a conversion to HPS lamps over the last few decades, but it stands to save much more by converting to LEDs. The downward focus of this model LED lamp in use in Brooklyn shows it provides ample light to the sidewalk and street without spilling glare sideways into nearby homes without the use of an amplifying lens. I’m looking forward to having one in front of my house and being done with the ghastly orange glow of the HPS lamp currently shining in my dining room.